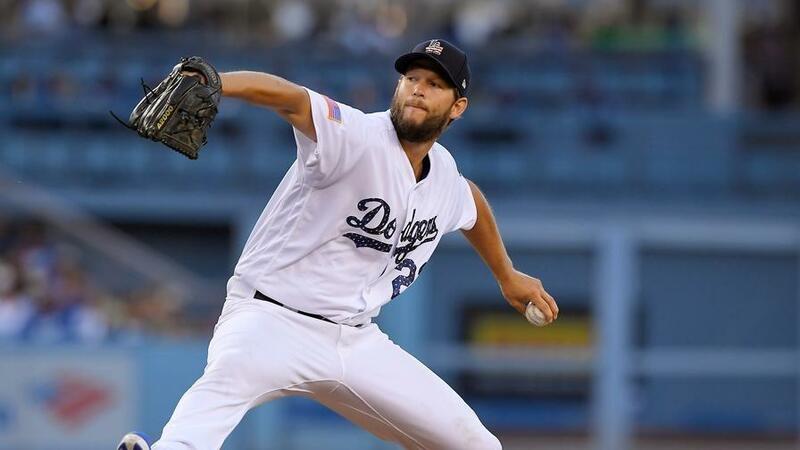 Tonight, Los Angeles Dodgers' ace Clayton Kershaw is the top pick among the high-priced starters on the evening slate. Los Angeles Dodgers starter Clayton Kershaw has had a quiet season this year. You don't hear his name being mentioned among the top National League Cy Young contenders, but make no mistake, he has been excellent here in 2018. Clayton Kershaw recorded his 13th straight quality start tonight, the 2nd-longest such streak of his career. In 23 starts over 143.1 innings, the left-hander has a 2.51 ERA, 3.05 FIP, and a Skill Interactive ERA (SIERA) of 3.28, allowing a .222 opponents' batting average this season. 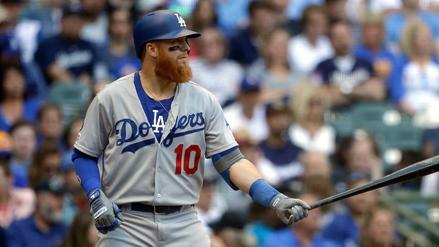 His strikeout rate (24.7%) is down from his career-long numbers (27.7%) and he is allowing more contact than ever before (78.0% contact rate is a career high), but much of that contact is weak, with a soft-hit rate of 21.5%. That is the 9th-best mark out of 79 MLB starters with at least 140 innings this season. Tonight, Kershaw is going up against a solid Colorado Rockies team that has the 8th-best wOBA (.326) in baseball over the last 30 days. However, they are not playing at hitter-friendly Coors Field, where their team wOBA this season (.354, 1st in MLB) is substantially better than on the road (.292, 25th in MLB). 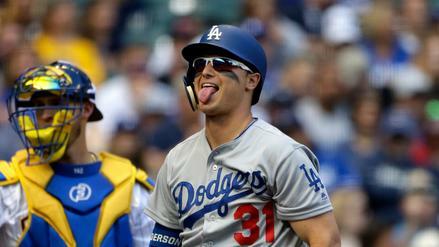 They are a completely different team on the road, which is why Kershaw has the best implied total (2.87) of any pitcher on tonight's slate of games, and is also projected to score the most FanDuel points (42.0) as well. Pittsburgh Pirates right-hander Jameson Taillon is having a breakout season in 2018, and is clearly the best mid-range arm on tonight's slate, given his recent performance and the opponent he's facing. In 29 starts this season, Taillon has a career-best 3.37 ERA, with a 3.54 FIP and a SIERA of 3.84. He's not a big strikeout guy (22.0% strikeout rate) but he does average just under a strikeout per inning (8.21 K/9), so he won't leave you wanting in the whiff category. He's also been red-hot as of late. Going back even further, since June 1 Taillon has a 2.78 ERA and a 3.35 FIP in his last 18 starts and has not allowed more than three earned runs in any of those outings. He'll also be facing a Kansas City Royals team that has struggled to score this season, with a .303 wOBA that is 25th in the Majors. In fairness, Kansas City's bats have been hotter lately, with the 3rd-highest team wOBA (.341) over the last 30 days, but with a .290 wOBA away from home, and against a hot pitcher, they're not much of a threat to do damage against Taillon tonight. That's the main reason why Taillon has one of the lowest implied totals (3.38) and the 4th-highest FanDuel points projection (37.1) on this evening's slate. 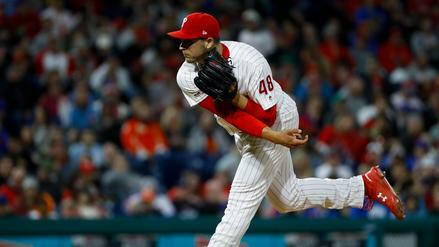 San Diego Padres rookie left-hander Joey Lucchesi isn't going to win the Rookie of the Year award, but he has had an outstanding first season in the Majors. In 23 starts (115.1 innings), he's posted a 3.67 ERA, 4.08 FIP and a 3.78 SIERA all while striking out 9.60 batters per nine innings. His 25.4% strikeout rate is 28th out of 109 starters with at least 110 innings pitched this season, with a ground-ball rate of 45.8% (34th-best). But perhaps the best reason to use Lucchesi tonight is the opponent he's facing, the woeful San Francisco Giants, whose offense has simply given up on the 2018 season. They have an MLB-worst .253 wOBA over the last 30 days, are hitting .208 with a .258 on-base percentage over that span, and have an isolated power (ISO) of .114, which is 2nd-worst over the last month of play. They've also failed to hit left-handers well all season, with a wOBA of .288 that ranks 26th out of 30 big league teams against southpaws. Lucchesi is the best bargain on this evening's slate, with one of the lowest implied totals (3.28) and the 7th-highest FanDuel points projection (34.2) going this evening. There are a number of high-quality, high-priced options on tonight's slate. In addition to Kershaw against the Rockies, you have Aaron Nola against the New York Mets, Corey Kluber against the Chicago White Sox, and Stephen Strasburg against the Miami Marlins. That means you might be in limited company in starting American League Cy Young candidate Blake Snell tonight against the Texas Rangers. Snell will be going for his 20th win on the season against a Rangers team that has not been at all good in 2018. In fact, the Rays have the 3rd-highest odds of winning tonight (-225 moneyline), thanks in large part to Snell's stellar performance this year. He's struck out 10.70 batters per nine, with a strikeout rate of 30.7% and a .181 team batting average allowed this season. Yes, he'll be pitching in Arlington, the friendliest environment for scoring runs this season, but he'll be facing a Rangers team that has just a .294 team wOBA over the last 30 days (25th in MLB). Snell could be a sneaky-good play tonight if you're looking to do something different.